Inspired by my good blogging friend Aquileana I’m pleased to post up some examples from my collection of divination cards. For many, divination cards like these offer the possibility of inspiration and guidance. They present the user with beautiful and fantastic images found in the often multi-layered artwork, along with a wide range of cultural and spiritual themes. As you will see below, some of my favourite decks are about fairies and Celtic mythology. Click images to go bigger. 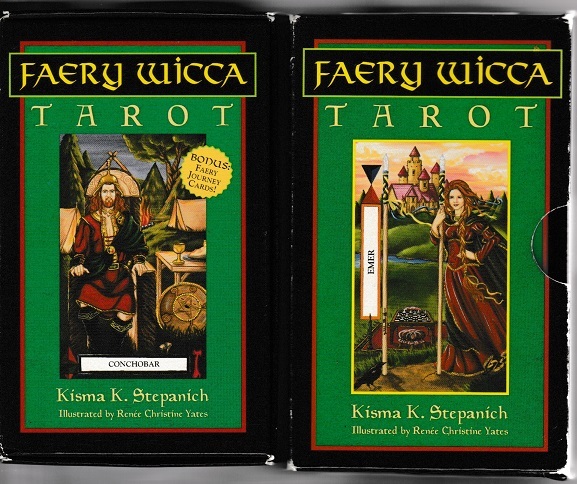 Faery Wicca Tarot. Kisma K. Stepanich. Illustrated by Renée Christine Yates. 1999, Llewellyn. The A.E. Waite Tarot. Arthur Edward Waite. Illustrated by Pamela Colman Smith. Originally published in 1910 by Rider. 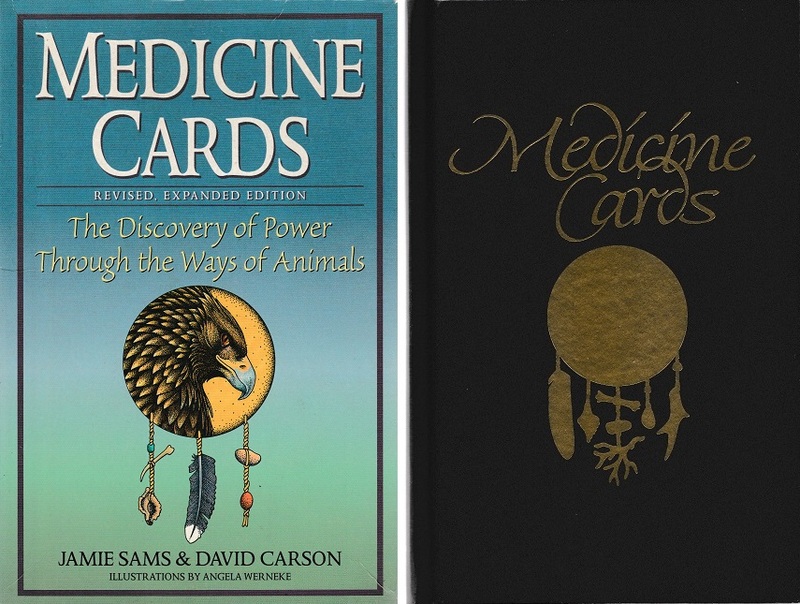 Medicine Cards. Jamie Sams & David Carson. Illustrated by Angela Werneke. Renée Christine Yates. 1998/99, St. Martins’ Press. The Faeries’ Oracle. 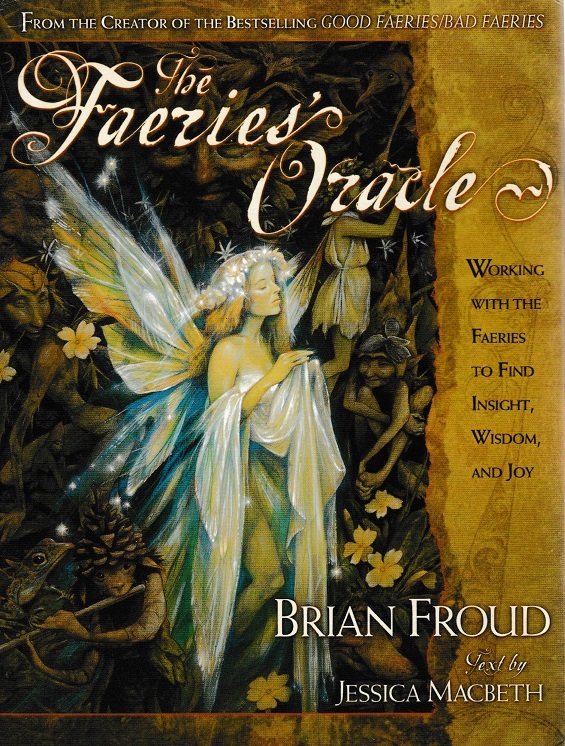 Brian Froud and Jessica Macbeth. 2000, Simon & Schuster. 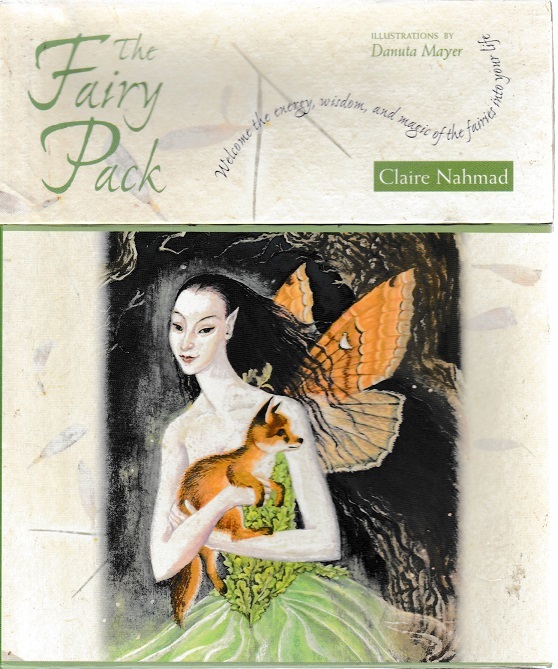 The Fairy Pack. Claire Nahmad. Illustrated by Danuta Mayer. 2003. 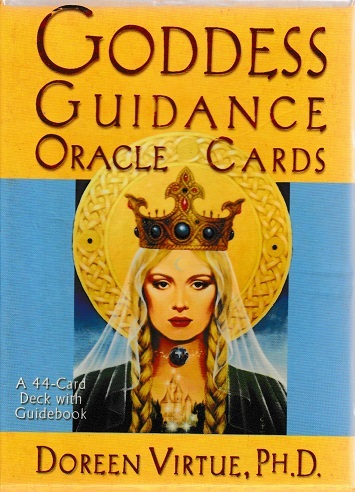 Godsfield Press Ltd.
Goddess Guidance Oracle Cards. Doreen Virtue, PH.D. 2002, Hay House Inc.
Artists. Row 1: Kali and Yemanya by Lisa Iris. Sarasvati by Sue Halstenberg. Artists. Row 2: Aeracura and Athena by Elizabeth Kyle. Freyja by Lisa Iris. Artists. Row 3: Aphrodite by Sharon George. Ixchel by Lisa Iris. Ostara by Wendy Andrew. 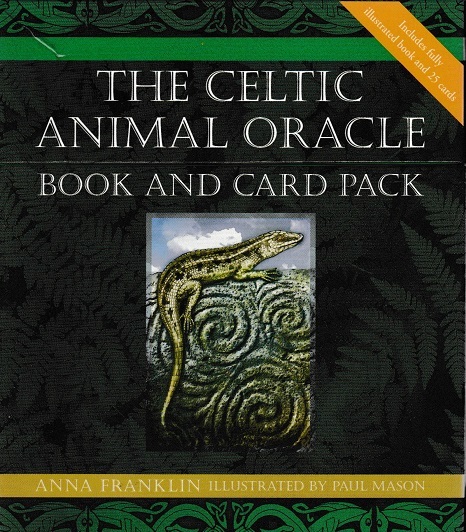 The Celtic Animal Oracle. Anna Franklin. Illustrated by Paul Mason. 2003, Vega. The above images feature box art and selected cards of individual sets from my collection. They have been scanned into this article to provide examples of just a fraction of the wide range of divination cards that are available. 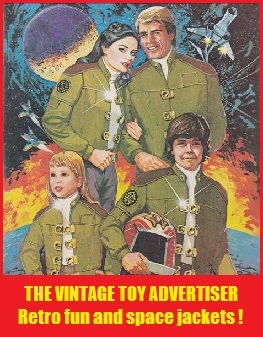 No infringement of copyright to the original publishers, writers and artists is intended. 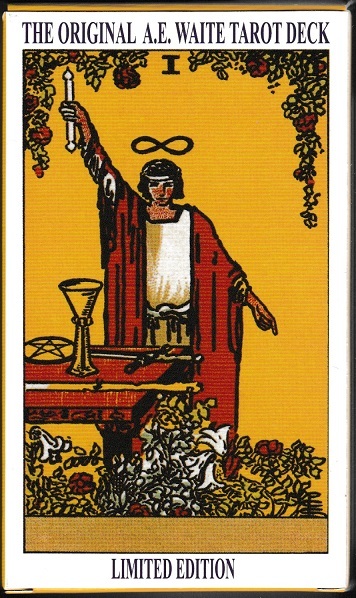 Please check out Aquileana‘s excellent overview of the Major and Minor Arcana cards if you are interested in further reading about the Tarot. This entry was posted in CARDS and tagged angels, CARDS, divination, faerie, Faery Wicca Tarot by Kisma K Stepanich., fairies, fey, Goddess Guidance Oracle cards by Doreen Virtue, Medicine Cards by Jamie Sams & David Carson, mind and spirit, mysticism, Oracle cards, spiritual, spirituality, Tarot cards, The Celtic Animal Oracle by Anna Franklin, The Faeries' Oracle by Brian Froud and Jessica Macbeth, The Fairy Pack by Claire Nahmad on March 17, 2018 by The Vintage Toy Advertiser. Very interesting post on these cards. I have the Rider set somewhere. Great to see all these different decks like this and the images on them, such beautiful art. Thanks Paul, was fun putting this post together. 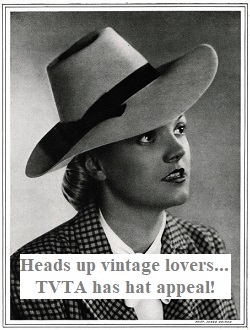 Hello TVTA, sorry I’m late commenting but I had a log-in issue with WordPress but they have sorted it now (yay!) There are some magnificent images in these collections, I particularly like the A.E. Waite Tarot because they look so traditional and the Celtic Animal Oracle set – they are just so well drawn. It seems that Tarot and the Force are closely linked as another saber enthusiast I know has a YouTube channel where he has done card readings and worked with Runes too. His name is Gary Ormond (aka Count Arkanus) in case you’d like to look him up. Thanks again. Hi FT. Hey, I just checked my stats to confirm that your comment is my official 1,000th comment on this site! I noticed last night it was set tantalisingly to 999 lol. Thank you my friend, not just for the ‘milestone’ comment but all your other comments too. Indeed, thanks to all my commentators – I feel I’ve made some great new friends here these past couple of years. I wonder if WP will send one of their little message alerts to say I achieved 1,000? They’re a bit stingy these days so maybe not. And I will look up the Count’s Youtube link you suggested, thanks for that. Actually, it would pretty cool (not sure if already done in Star Wars, the books maybe?) to have a force character who wielded runes and divination cards as well as a saber? Maybe a future hilt design for you one day with divination symbols and elements on it?? Hi TVTA, I am honoured to be part of your milestone, Congratulations! Congrats again to you and Wooof and I’m sure I’ll add a few more comments in the future. Wow, these are awesome cards. I have these as well and the golden and Vampire tarot. My friend has a rider Waite and Gypsy witch. She uses it for fortune telling, tells the past, present and future. Hi, thanks so much. I had a look at some online images for the vampire tarot and there are some beautiful cards – seems to be a few different packs available. 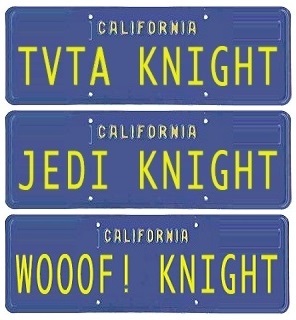 The ones I saw were by Nathalie Hertz, Ian Daniels and Robert M Place.